So by now you’ve probably read all about Apple CEO’s Steve Jobs’…um, diatribe about iOS competitors – from Monday’s Apple Q4 earnings call. In that call, Steve Jobs let loose a number of great one-liners about Android especially, with the most gruesome being when he said that 7″ Android tablets should come with sandpaper so that users can file down their fingers to use them (um, Steve, have you used an iPhone or iPod Touch lately? Bit smaller than 7″ fyi). So that was entertaining enough, but the real laughs came today when the real master of Apple spin – i.e. 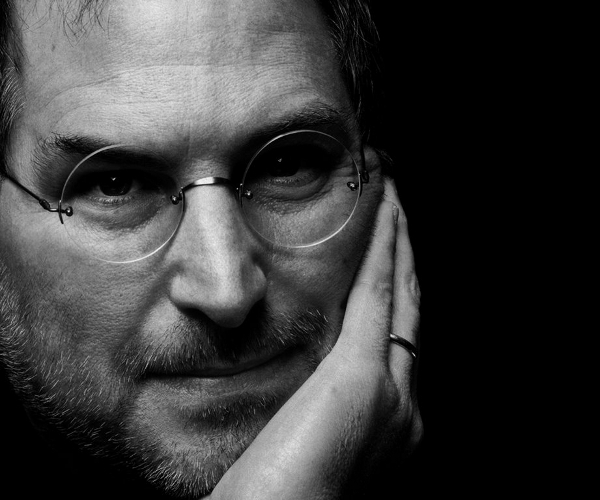 Fake Steve Jobs – weighed in on how he feels about iOS competitors. To reiterate: We are way more popular than Android. In fact, Android is not that popular at all. From what our research tells us, hardly anyone is buying Android phones. I know — that’s not what you’re hearing from the so-called “independent” market research outfits. Do you know anyone who has an Android phone? I don’t. Honestly, not a single person I know has an Android phone. I’ve never seen one anywhere, in public, being used by a real person. I just haven’t. Google says the phones are being sold by HTC — but does HTC even exist? Seriously? Supposedly they’re based in Taiwan. But I’ve been to Taiwan, and I asked everybody I met, Hey, have you heard of this company called HTC? Nobody knew what I was talking about. So, everybody, let’s all take a deep breath here and just agree to stop talking about Android. Okay? Because they are totally irrelevant. All I can tell you is that when we look out at the marketplace, in terms of competition, we just don’t see Android. We don’t. We see Windows Phone 7, which is so late that it won’t have a chance. We see RIM, in our rearview mirror, yelling at us to slow down. We see Palm, or at this point just a few fingers, still wiggling as they slide under the surface of the water for good as they drown. We see Nokia, lumbering up ahead of us like a big dimwitted Finnish reindeer, slumped on an ice floe, badly wounded, losing blood, just waiting for me to sneak up and bash it over the head with a club and finish (sorry) it off.